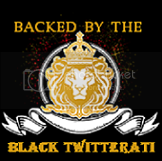 Black Twitterati: Computer Giveaway by MochaDadBlack Twitterati- Celebrating the Black Twitterati... one tweet at a time. Who's worth following, who isn't. Just in time for the back-to-school rush, MochaDad is giving away TWO Hewlett-Packard computers. The prizes are one HP dv6t laptop, an HP Mini 110 netbook, and a customized Timbuk2 bag. What do you have to do to win this nice bundle? Simply submit a comment on his new review blog describing a teacher who impacted your life. MochaDad and wifey will choose the winner. The contest ends August 30th. Find out more HERE. You will kick yourself if you miss this.